Think about it, who is your favourite advisor when it comes to finding your next, undiscovered restaurant? Your mum or perhaps your best friend? Sometimes they might not give the best advice, luckily you have kind strangers who write reviews online, which you can consult. Review platforms such as Yelp.com, enable people to write and read reviews on products and/or services. But how do businesses handle marketing efforts in the context of electronic word-of-mouth (eWOM)? This is an important question for managers since the rise of the Internet has changed how they allocate marketing expenditure, turning more to online advertising (Lu et al. 2013), but is this effective? To answer this question Lu et al. research the influence of promotional marketing on third-party review platforms. Lu et al. examined the impact of online coupons, keyword sponsored search and eWOM on weekly restaurants’ sales using a three-year panel study. 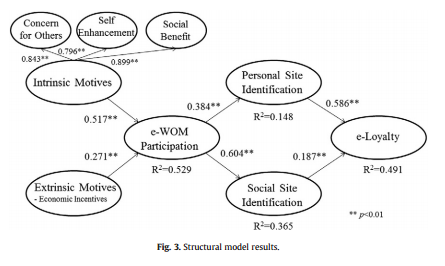 They focused on restaurants since going out to dinner is a high-involvement service and eWOM is particularly important for high-involvement products and/or services (Gu et al. 2012). With high-involvement products customers spend considerable time searching for information before purchasing. Lu et al. collected their data from one of the largest restaurant review websites in China. Online coupons are displayed on this platform and the keyword sponsored search works as follows: restaurants buy keywords and when users search for restaurants using that keyword, the restaurants will be displayed at the top of the platform’s search results. One of the key insights Lu et al. found is that both promotional marketing and eWOM have a significant impact on sales. Keyword sponsored search and eWOM have a positive impact on sales. Likewise, offering online coupons has a positive impact on sales, however this relationship is not present for coupon value, indicating that the presence of online coupons is more important than their value since it increases awareness among users (Leone and Srinivasan 1996). Another key insight is that interaction between eWOM and promotional marketing is significant. The interaction between eWOM and coupon offerings is negative, indicating that they substitute one another and thus only one is needed to attract sales. On the other hand, the interaction between eWOM and keyword sponsored search is positive, indicating that they complement one another and together increase sales. Furthermore, if you would use both promotional marketing tools simultaneously, this would negatively impact sales since too many marketing tools at the same time is experienced as too intrusive by customers. Altogether, these insights highlight different sources of information, with different levels of credibility, while still both sharing the power to inform and attract customers. The study’s strength is that it presents some very useful advices when it comes to using promotional marketing in the context of eWOM. First of all, it is good to know that allowing promotional marketing activities on third-party platforms does not hurt the platform’s credibility and thus indicates some interesting marketing possibilities. According to Lu et al., you should stimulate users to generate more positive eWOM since this increases sales. Businesses could use online coupons to get customers’ attention, but if the volume of eWOM is high, this tool becomes less effective. In the case of high eWOM volume, businesses should rather buy keywords to increase sales. However, businesses should not use these two promotional marketing tools simultaneously since this decreases sales, rather they should focus on the tool that is most suitable for them. Although these insights are useful, managers should note the study’s weaknesses. One of these weaknesses is the study’s generalisability. Firstly, the study only included restaurants from Shanghai, while other academics indicate the presence of cross-cultural differences (King et al. 2014). Secondly, the study focused on high-involvement products, while many studies examine low-involvement products, e.g. books and films, and find that eWOM has a significant impact on sales (Chevalier and Mayzlin 2006; Duan et al. 2008). Thirdly, the study focused on one platform, while other studies indicate that eWOM across platforms can impact sales (Gu et al. 2012). Therefore, future research could focus on whether the study’s results also apply cross-culturally, across different product and across different platforms. Another weakness of this study is the limited dimensions of eWOM and promotional marketing captured. For instance, Chavelier and Maryzlin (2006) indicate that the length of reviews also influences customers’ purchasing behaviour. Besides, the measurement of promotional marketing is two-fold, while other options such as banners or pop-up ads also exist. Future research could therefore investigate whether results differ for other promotional marketing tools and if adding more dimensions for eWOM might indicate different results. To conclude, although the paper has some weaknesses, it does not overturn the practical implications, managers should however be cautious and decide whether the study applies to their specific situation or if their situation deviates from the study’s setting. Chevalier, J.A. and D. Mayzlin (2006) ‘The Effect of Word of Mouth on Sales: Online Book Reviews’, Journal of Marketing Research 43(3): 345-354. Duan, W., B. Gu and A.B. Whinston (2008) ‘The dynamics of online word-of-mouth and product sales – An empirical investigation of the movie industry’, Journal of Retailing 84(2): 233-242. Gu, B., J. Park and P. Konana (2012) ‘Research Note – The Impact of External Word-of-Mouth Sources on Retailer Sales of High-Involvement Products’, Information Systems Research 23(1): 182-196. King, R.A., P. Racherla and V.D. Bush (2014) ‘What We Know and Don’t Know About Online Word-of-Mouth: A Review and Synthesis of the Literature’, Journal of Interactive Marketing 28(3): 167-183. Leone, R.P. and S.S. Srinivasan (1996) ‘Coupon face value: Its impact on coupon redemptions, brand sales, and brand profitability’, Journal of Retailing 72(3): 273-289. Lu, X., S. Ba, L. Huang and Y. Feng (2013) ‘Promotional Marketing or Word-of-Mouth? Evidence from Online Restaurant Reviews’, Information Systems Research 24(3): 596-612. Social media is a widely used channel for companies to connect with consumers. Approximately 83% of Fortune 500 companies have used some form of social media by 2011 (Naylor et al., 2012), which have increased even more by now. Many consumers use these social media platforms to get deeper knowledge about a brand and who affiliates with it. This is useful because consumers reaction to a brand may be affected if they know who other users are (Bearden, Netemeyer, and Teel, 1989; Berger and Heath, 2007). Via these platforms, consumers have the possibility to see other people who affiliated with the brand. This passive exposure to a brand’s supporters is identified as ‘mere virtual presence’ (MVP). This research tries to answer what the effect are of the different types of MVP on brand evaluation and purchase intentions, as there is still little know about the subject. Consumers find more affinity with a certain brand if they see that similar others support the brand (Berger and Heath, 2007; Escales and Bettman, 2003). Because of this, it is expected that individuals who deal with similar MVP with the brand’s user base will experience high levels of inferred commonality. Therefore, they positively evaluate the brand. On the contrary, if the consumer experience a dissimilar MVP, they will evaluate the brand downwards. Another research suggests that when there is no information available about others, consumers anchor on the self and assume that those others are like them (Naylor, Lamberton, and Norton, 2011). Thus, probably a more safe decision is not displaying pictures of others at all, which is called ambiguous MVP. This ambiguous MVP results in that consumers will project their own characteristics on the brand’s user base, hence higher affinity with the brand. However, a brand’s user base cannot be completely similar to a consumer and is more heterogeneous. Therefore, the last form of MVP this research investigate is that consumers evaluate a brand more positively if they are confronted with a small proportion of similar individuals in a large heterogeneous group. Findings from this study have the following implications for positive brand evaluations: (1) If the brand’s user base is homogeneous and similar to the target audience, reveal their identity. (2) Second, if the brand’s user base is heterogeneous, but includes users who are similar to the target audience, also reveal their identity. (3) However, maintain ambiguous MVP if the brand’s user base is dissimilar from the target audience. This will result in that consumers evaluate the brand the same as in the similar MVP context. (4) Lastly, results indicate that when brands are jointly evaluated with other brands similar MVP yields better performance than ambiguous MVP. This positive brand evaluation consequently results in higher purchase intentions. This study contributes to the literature how firms can best manage their social networks in meeting strategic objectives and enhance their brand evaluation. Moreover, this research help to guide brand managers when it is useful to reveal the identity of their online supporters or to remain an ambiguous MVP. Thus, managers are informed which social media platform they should choose because some control over specific fan base is necessary (similar consumers in heterogeneous population). These results are furthermore most useful for new brands to establish a larger supporter’s base. And to manipulate MVP and find similar consumers, firms can target consumers based on demographics. For example, Facebook displays advertisements mostly to certain demographic groups, thus emerging tracking and targeting tools can be used to do this. Because of this tracking marketers know where their new supporters came from so that they can adjust their MVP and target consumers that fit this demographic profile. This will help brand managers to decide whether to display the brand’s user base or remain ambiguous. Bearden, W.O., Netemeyer, R.G. and Teel, J.E. (1989) ‘Measurement of Consumer Susceptibility to Interpersonal Influence’, Journal of Consumer Research, 15: pp. 473-481. Berger, J. and Heath, C. (2007) ‘Where Consumers Diverge from Others: Identity Signalling and Product Domains’, Journal of Personality and Social Psychology, 95: pp. 593-607. Escales, J.E. and Bettman, J.R. (2003) ‘You Are What They Eat: The Influence of Reference Groups on Consumers’ Connection to Brands’, Journal of Consumer Psychology, 13, 3: pp. 339-348. Naylor, R.W., Lamberton, C.P. and Norton, D.A. (2011) ‘Seeing Ourselves in Others: Reviewer Ambiguity, Egocentric Anchoring, and Persuasion’, Journal of Marketing Research, 48, 6: pp. 617-631. Naylor, R.W. Lamberton, C.P. and Norton, D.A. (2012) ‘Beyond the “Like” Button: The Impact of Mere Virtual Presence on Brand Evaluations and Purchase Intentions in Social Media Settings’, Journal of Marketing, 76, 11: pp. 105-120. A new era in market research? Technology has allowed us to stay in contact with each other 24 hours a day. At any point in time you can use email, Whatsapp and an endless amount of social media to get in touch with your friends and family. It takes almost no effort and it allows you to have a response within seconds. In the field of market research, the technology that allows fast communication is for a big part yet undiscovered. Something almost all of the market research tools (e.g. surveys, focus groups, telephone interviews, etc.) have in common is that it costs a lot of time, effort and money. One simple but very clever app might change the area of market research completely. The app Upinion allows companies to do their market research completely differently compared to how they did it before. Upinion allows companies to ask real-time questions towards their customers using mobile technology. It works really simple: A company creates a specific marketing related question in the Upinion app. Then the question is send to all the relevant and targeted consumers which make use of the app. They fill in their answer and send it back, through the app, towards the company. All the results are then automatically collected and statistics and reports can be created within minutes after the company asked the question. It is also possible to set very detailed filters so that companies can specifically reach the people who belong to the research target group. So the market research turned from a multiple days or even multiple weeks process into a several minute process, all with the help of modern-day technology and this clever app! Intensive market research is not something just for the big companies with large marketing budgets, even small and local companies can easily receive interesting and useful information through this app. So what’s in it for customers? Customers get tired from traditional marketing research tools. “Can you please fill in this survey?”, “Can I ask you a few questions?”, consumers are asked these questions quite often in either supermarkets or through the telephone. In my experience, 9 out of 10 people do not want to answer these questions because it costs them valuable time and they do not get anything in return. With Upinion that seems to be completely different. Only people who installed the app receive questions, and by installing the app, people already give away that they are willing to contribute to market research. But the most interesting part of this app in my opinion is that people who provide answers, in return receive credits and vouchers which they can spend at the brands they just answered a question from. In this way, companies not only receive useful market data, but they can also increase their sales by attracting additional customers through these offers. So both sides of the market have benefit from the Upinion app. Consumers can receive credits and nice discounts and companies receive fast and real-time data, and additionally they attract additional customers. I think this app is a form of real-time crowdsourcing in the field of marketing and it therefore elaborates on the trend of consumer value creation. I am really curious about how the app works so I will start using it right away, what about you? Turn customers into brand advocates by using participation marketing! Consumer value creation is hot and happening! The successes that can be achieved when crowdsourcing production processes and relying on consumers to create value are plenty: Threadless’s users create and vote on clothing designs that eventually will be produced, Nike offers consumers to design their own pair of shoes, Lay’s challenged its consumers to come up with a new flavor, et cetera. One area in specific – marketing – is interesting when looking at how consumers could create value for a company. “Participation marketing” or “engagement marketing” refers to a marketing strategy that encourages consumers to participate in the evolution of a brand. This marketing strategy treats consumers not solely as passive receivers of messages, but views them as actively involved producers and co-creators of marketing programs. Two big players are using it with success: Coca-Cola and Yoplait. With the average person in the United States drinking the equivalent of 275 cans per year, there is no need for Coca-Cola to focus on increasing their immediate sales transactions and acquiring new customers. Coca-Cola is shifting towards creating a more long-term emotional connection with their customers. One successful example is their recent “Share a Coke” campaign, where they replaced their product logos with popular names. This invited consumers to start a big wave of referrals on social medium websites, which resulted, for instance, in a crazy 341,000 posts on Instagram with the hashtag #shareacoke. This is one of the ways Coca-Cola uses to build loyalty and engage customers. Another example of participation marketing can be found at Yoplait. Yoplait’s annual “Save Lids to Save Lives” program donates 10 dollar cents to a breast cancer foundation for every pink foil yogurt lid that customers mail back to the company. Since 1997, around 35-50 million dollar has been donated by Yoplait and their parent company! This translates into hundreds of millions of customers mailing their yogurt lids to the company! When customers actively engage with the campaign in order to support the cause, they are more likely to purchase Yoplait’s products and encourage others to do it as well. Customers are becoming so-called brand advocates. This way, Yoplait is building brand loyalty whilst also increasing sales. The lesson companies should take from these two examples is to shift their focus from viewing customers solely as receivers of marketing and buyers. They should engage with them to create value together. This way they will become lifelong loyal customers and brand advocates. Don’t think only big companies with enormous marketing budgets can pull this off: the ALS association created the “Ice Bucket Challenge”, which went extremely viral. This led to increased customer engagement and more donations. What do you think? 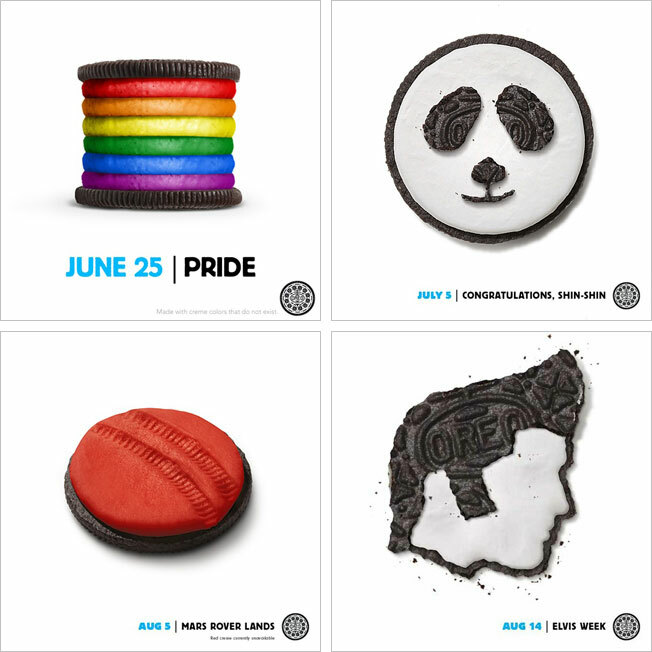 Do you know other great examples of companies that used participation marketing? How do you find consumers to create value with? Try automating! When shopping online, consumers often read several reviews of products they discover and many times base their decisions to purchase on the information provided by reviews. Research covered in class focused on the elicitation of ratings and reviews from consumers and ensuring they are valuable to the consumer. Reviews are not only beneficial for the consumer and there are distinct benefits that companies can extract directly from the information in the reviews. In their study Lee and Bradlow (2011) use text-mining techniques to automate the analysis of customer reviews, forming valuable information for use in market research. Previous studies have not covered the analysis of market structure through reviews to describe the environment surrounding a business. Market structure analysis is an important part of the market research process, as many of the marketing decisions rely on information about existing the existing market; the potential substitutes and complements for the product. In order to form these market structure analyses, attributes of products are commonly mapped to represent different brands. The authors’ collected all digital camera reviews on the epinions.com platform between July 2004 and 2007. By clustering attributes detected in product reviews into common attributes, the authors’ were able to compare these attributes to attributes found in expert buying guides. What they found when comparing the opinions of experts, interestingly, was that they have no consensus in what attributes of a product are seen as important. In their comparison study they found attributes from analyzed reviews to be more valuable to the respondents and discovered new attributes. To prove the use of their methodology in forming overviews of market structure repeatedly, the authors’ ran the analysis on a parallel data set they collected from reviews in between 2005 and 2007. This showed interesting results as the changes in attributes matched the changes seen in the market in terms of company strategies and consumer tastes. When Nikon changed its marketing from promoting technical specifications to a more product benefit focused approach, the attributes used in reviews reflected the change. Managers can use the findings of Lee and Bradlow to support marketing strategy decisions. By mining customer reviews, the company can see how its brand aligns with competing brands in consumers’ minds. Tracking how the attributes mentioned change over time can be valuable information in determining how successful campaigns have been. New segments can be found by clustering characteristics detected with semantic analysis. Spotting attributes associated with competitors’ products is valuable insight in how competition is performing. The study showcases how big data can be used in marketing research and brings to light the great value customer review data has when finding the customers to involve in the value creation process. With the current popularity of social media analysis it would be fascinating to compare the effectiveness of analyzing reviews and social media postings. Thomas Y. Lee, Eric T. Bradlow (2011) Automated Marketing Research Using Online Customer Reviews. Journal of Marketing Research: October 2011, Vol. 48, No. 5, pp. 881-894. Can we start drinking beers all day long? To cover the inevitable expenses of the Dutch student life, I worked as a online marketeer at a large beer brewery for two years. My main task was to maintain and manage the online community of the firm, which consisted mainly out of people that followed the company social media accounts. Within this online community I pushed content in the form of company posts towards our community members, posts with which I tried people to convince a certain product was attractive, or posts telling our people that our new campaign was cool. But what I did was wrong. Instead of my strong content pushing focus, I should have engaged our community in engaging.. In the last decade, the term “engagement” has been extensively used in marketing literature. But while this term has become more popular, it never has been really been defined or differentiated from terms as “participation” and “involvement”. So when Roderick Brodie and his friends (2013) decided to write an article about virtual brand communities, they choose to focus on the consumer engagement in these communities. What really defines this customer engagement, and how could this customer engagement be created? They started with the question how to theoretically define consumer engagements, since this was never really done, and came with the following comprehensive definition: “Consumer engagement is an interactive, experimental process, based on individuals engagement with specific objects (e.g. brands, organizations), and/or their community members.” After defining this consumer engagement, they start examining what was needed to create this consumer engagement in online brand communities. A netnography (Dhiraj, 2011) was done were 427 blog posts consisting out of 56.804 words were analyzed. Eventually, Brodie et al. (2013) came to the following practical conclusion: companies must start “engage in engaging”, they must form their brand communities in such a way that consumer interaction determines what is happening. But how should this “engage in engaging” be implemented by an online marketeer, for example myself? Can we stop working and start drinking beers all day long? Unfortunately that is not the case. By implementing this “engage in engaging” principle, the role of the online marketeer changes, but it does not disappear. Instead of following the traditional marketeer role and hereby pushing content towards community members, online marketeers should be responsible for creating an environment that lets the community members create and share content. Interactions between these community members should form the community. Dhiraj, H. (2011). Open Business Council. [online] Openbusinesscouncil.org. Available at: http://www.openbusinesscouncil.org/2011/11/what-is-netnography-the-effects-it-places-on-the-web-and-social-media-industry/ [Accessed 5 Apr. 2015]. YouTube, (2015). #McDStories RUIN LIVES!!. [online] Available at: https://www.youtube.com/watch?v=Z0hh3M-EanA [Accessed 5 Apr. 2015]. Just like Don Corleone in the epic Godfather movie, the folks at Washington-based e-commerce giant Amazon are about to make offers to their business partners, the company hopes they can’t refuse. That the firm, like Corleone, relies on ‘capos’ to enforce these offers, can be doubted, but they have a treasure the Mafia never possessed. Amazon’s immense knowledge about their business partners, generated from all sorts of data, takes the firm to a stage where it plans to rely a huge part of its channel domain on its recommendation system. But let me explain. After establishing overnight delivery years ago and the introduction of the ‘drone delivery service’ last summer, the firm filed a patent in January with the bulky name ‘anticipatory shipping’. The idea behind it could revolutionize the e-commerce environment. According to techcrunch.com the system is the next ‘step towards cutting out human agency entirely from the e-commerce roundabout’ (1). When set up properly the automated collaborative filtering algorithm will learn from the behavior of registered consumers and anticipate what they could possibly be interested in, before the consumers themselves think about it. When matched with a specific product, Amazon plans to wrap the item and send it towards the potential customers before an order has been placed. This means slashing down shipping time by relying on clients’ historical buying patterns, preferences expressed via surveys, demographic data, but also browsing habits, wish-lists and even mouse movements (1). Essentially, the system entirely outsources the consumers’ shopping experience and direct communication with Amazon on basis of an online recommendation agent. So after looking around on the web in search of some interesting customer co-creation contests and products, I found this (quite interesting, yet not good-looking) website (http://www.co-creatornetwork.com/index.htm) in which you could ‘buy’ your own airtime, and create a radioshow. The experience economy actually consists of companies that provide and sell experiences to their customers. But, what are these experiences? Commodities are fungible, goods tangible, services intangible and experiences are memorable. Meaning that an experience occurs, and we’re quoting the article now, when a company intentionally uses services as the stage, and goods as props to engage individual customers in a way that creates a memorable event. Furthermore the article discusses two main dimension experiences have. The first one being customer participation, from passive to active. The other one is connection with the experience. From absorption to immersion. Take a look at the graph.